Summer is sending me all kinds of mixed signals. It’s all frozen cocktails, ice cream cones, and beer-battered fish at one minute. The next minute I’m expected to don a bathing suit. Hop in my daisy dukes. Sport a tank top. Well guess what, Summer? I’m over it. 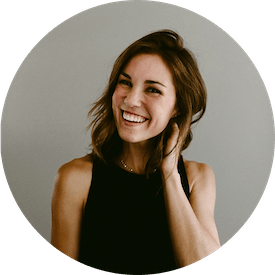 You’ve tempted me with your cream cheese-laden dips and funnel cakes for too long. I’m fighting back with this here tomato galette. Yes, summer shares its bounty of fresh vegetables, ripe berries, and fragrant herbs, but honestly, I’m just not always vibing *salad*. Sometimes, I want to enjoy the summer harvest of noms with a subtle hint of decadence. On a scale of one to milkshakes, I’m not always on a full level 12, but I certainly don’t want to sacrifice flavor and texture satisfaction if I don’t have to. 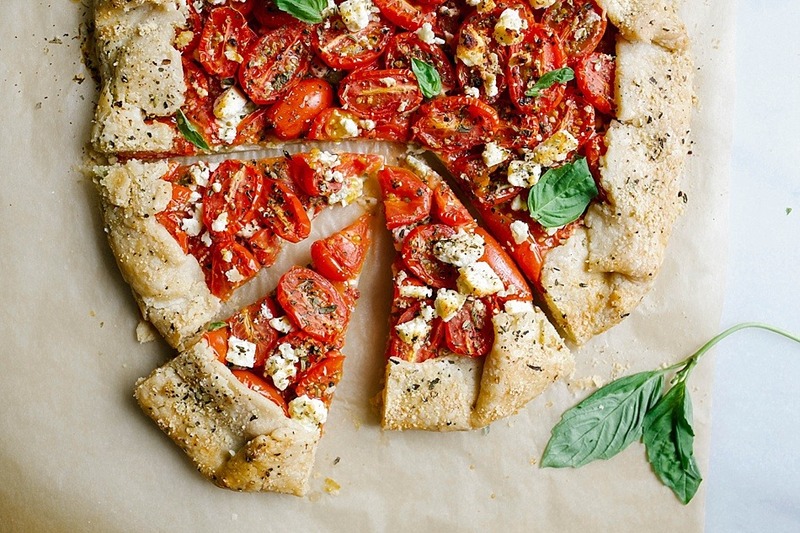 So instead, I look to treats like this tomato galette, a dish that celebrates the season’s juicy ripe tomatoes and fresh basil with a little bit of pie crust and (cough) a whole lot of cheese. Worth it. 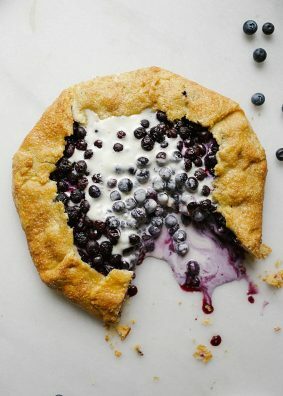 Galettes are fab for a number of reasons, but you probably remember that from the blueberry galette post that I shared with you a few weeks ago. All the taste and pizazz of a traditional pie with half of the work and time. 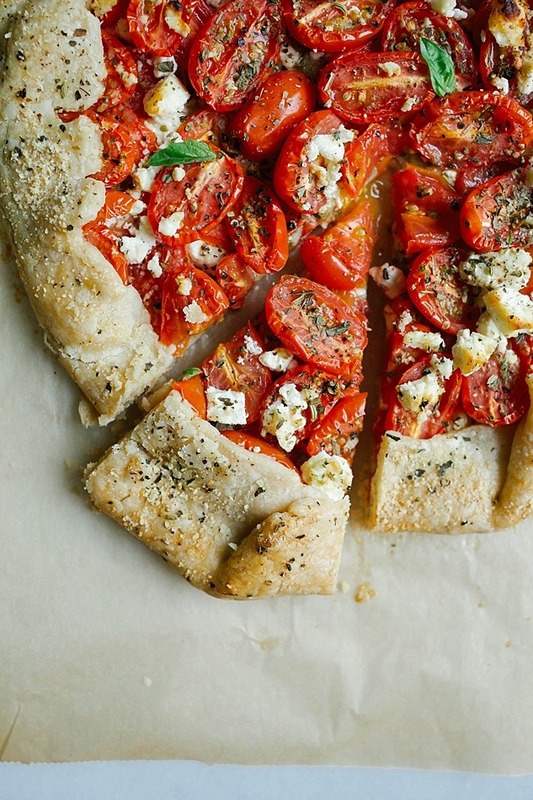 This tomato galette is no exception. 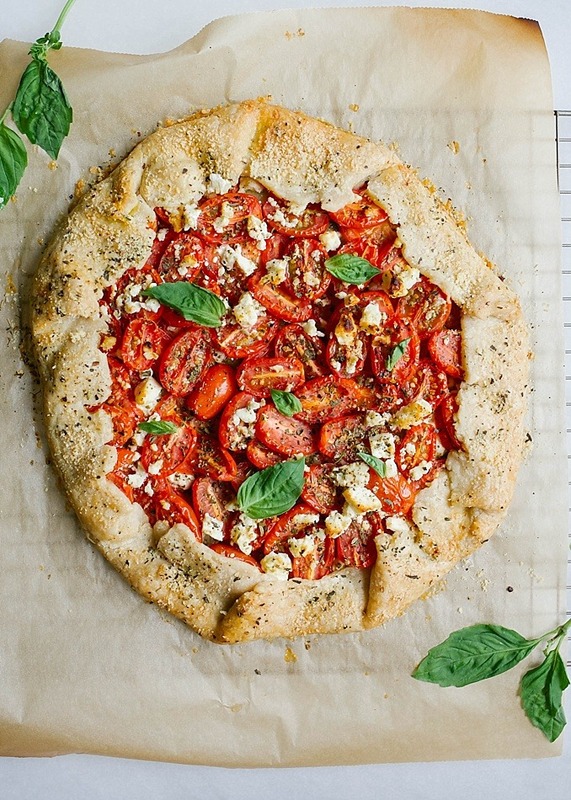 A simple, straight forward pie crust recipe, buttery, flaky, and perfectly golden every time, filled with bright red tomatoes, feta and parmesan cheese, and basil pesto. Might as well be a bullseye, right? To make the galette, we start by whipping up some pie dough. 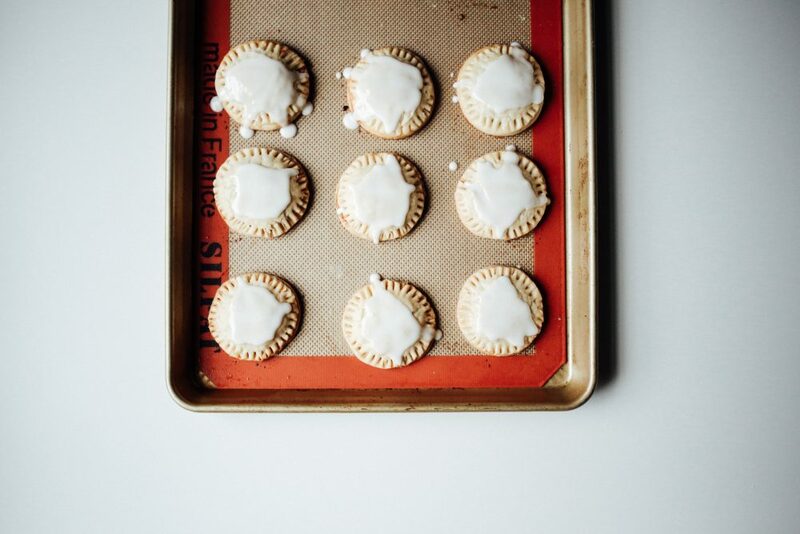 If you’ve never made your own pie dough from scratch, please let me be the one to encourage you to take the plunge. 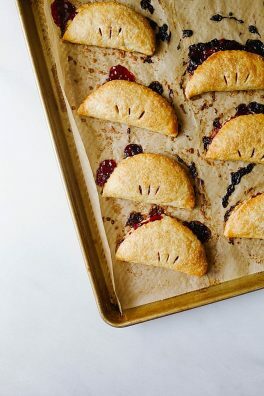 My all-time favorite pie crust is delightful here, so try it if you don’t already have a go-to of your own. Alternatively, you could try the buttery cornmeal crust that I shared a few weeks ago. Hedge back on the sugar a bit and I’m sure that the combo of tomatoes and cornmeal would be over the top delish. Once you’ve got some chilled pie dough, all you need is that summer produce. I’ve used a combination of grape tomatoes and Roma tomatoes, but if you have others in your garden, that would work swell too. The idea is to use a few tomatoes that will release their juices throughout the cooking process (the Romas) and a few bite-sized tomatoes that will retain their juiciness within their skins (the grape tomatoes). Slice up those scarlet beauties and sprinkle them with a little salt. The salt will help to draw out extra water from the tomatoes so that we don’t make our crust sad and soggy. No one wants soggy, okay? After the tomatoes have been prepped, we can start assembling our tomato galette. First, roll out your pie dough on a floured surface. Perfection isn’t necessary here, so a rough 12-13″ circle will do. Next, spread a schmear of basil pesto and sprinkle on about half of the feta cheese. Arrange the tomatoes, starting with a layer of the Roma tomatoes and ending with a few handfuls of grape tomatoes. We then finish off the galette with another sprinkle of feta and a bit of pepper, dried herbs, and parmesan. Crimp the edges of the galette just slightly over the tomato filling and then the tomato galette is all ready for the oven. While it bakes, the tomatoes will render their juices and the pie crust will bake up golden, flaky, and ultra buttery. The final product is a simple yet stunning tomato galette, a true showcase for the best of summer produce, all wrapped up in the delightful packaging that is homemade pastry. Wait one second… I think I can hear a choir of angels singing. 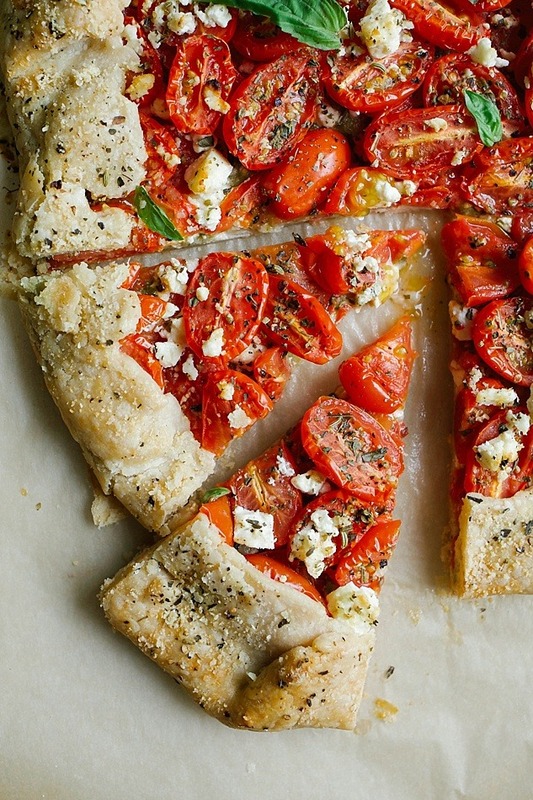 Before summer is up, you just HAVE to make this tomato galette. It’s the perfect thing to bring to a summer cocktail party and it’s the answer to every “What’s for dinner?” question your spouse throws at you. You need this, okay? So just make it, let me know what you think, and don’t give another thought to your bikini top and cut-off denim shorts. Happy summer and happy weekend! 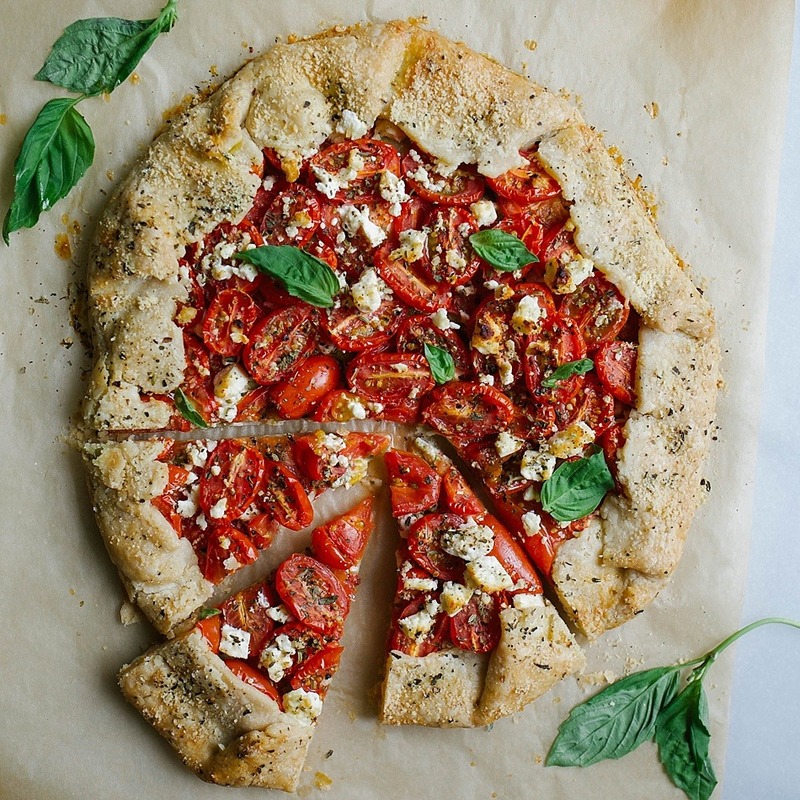 Made with a buttery pie crust, this tomato galette is a fresh way to use beautiful tomatoes, fresh basil, and feta cheese. Preheat the oven to 375 degrees. Line a large sheet pan with parchment paper or ready a pizza stone. Line a cutting board or dinner plate with two layers of paper towels. Spread the tomatoes out on the towels and sprinkle with the salt. Place an additional layer of towels on top and set aside. Meanwhile, prepare the pesto mayo. Combine the prepared pesto and mayonnaise in a bowl and set aside. Pull your pie crust from the fridge and allow to soften for rolling slightly, if needed. On a floured surface, roll the pie crust out to a rough 12-13” circle. Be sure your circle isn’t larger than your pan. Carefully transfer the pie crust to the prepared baking sheet or pizza stone. See notes. Spread the pesto mayonnaise on to the pie crust, leaving a 2” border around the outside. Sprinkle ½ of the feta cheese out on to the pesto mayo. Arrange your Roma tomatoes over the mayo and sprinkle the grape tomatoes on top, leaving them cut side up. Sprinkle the remaining feta cheese on top. Crimp the border edges of the pie crust around the tomato filling. Simply pull up the edges and fold over themselves as if you were wrapping a present. Whisk together the egg and water to create an egg wash for your crust. Use a pastry brush to paint the crust. Sprinkle the pepper and Italian seasoning over top of the filling. Sprinkle the parmesan cheese on the crust. Bake the galette in the preheated oven for about 35-40 minutes, or until the crust is set and golden brown. Allow to cool slightly before slicing. This can be served warm, but is delicious at room temp as well. See the link in my post or look in my blog archives for my favorite homemade pie crust. You’ll need only half of the recipe, so you can store the other half in the freezer for a later date. 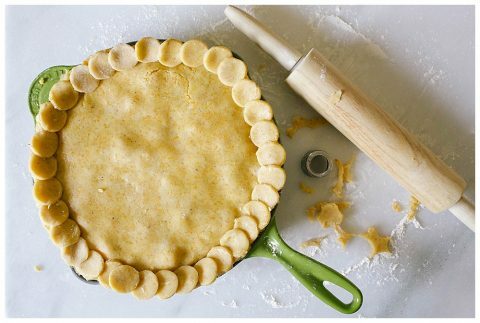 To transfer your pie crust to your prepared pan, flour your rolling pin and carefully loosely roll the flattened pie crust back on to your rolling pin. Unroll it on to your baking sheet. This looks so good! Would it work with store bought dough? Ohhhh, I hope you’ll give it a try! I am so excited to make this, this WEEK!! Tomato and Feta for LIFE!!! hooray hooray!!! I can’t wait to see/hear!!! 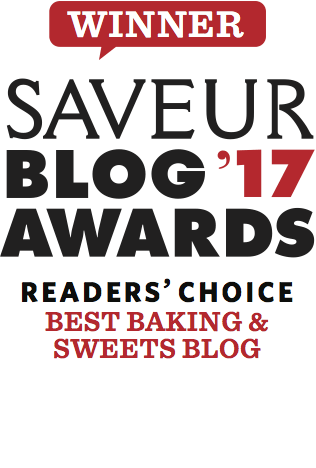 This is SOOO pretty in so many ways….As a baker, I want to cry! MUST TRY! (is there anything better than Feta??? diehard feta, always and forever.